Main floor of the BPAC - Border Paving Athletic Centre. 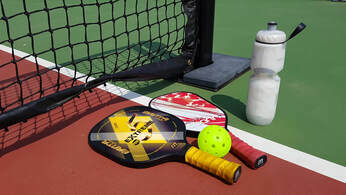 New Online Club Registration Open! 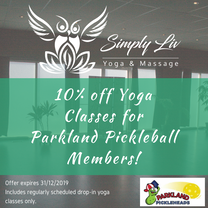 Starting 2019, Parkland Pickleheads are moving toward an online & integrated registration system with Pickleball Alberta (PA). ​You'll be able to access this system both through this website & directly through PA. Your registration fee ($50), will have $5 going directly to each governing body, PA & PCO, with the balance of $40 going to our Club. Currently, the objective is to get you into the system where you can view & modify your PA profile. Note: If you are setting up a second membership profile (spouse), you must log out of the first profile & then start the second profile. Also, if you join more than one club from the list you will still select $10 membership (PA & PCO), but there will be a $10 deduction on your second Club registration. ​A detailed user guide is available here. If you joined another Club not on the list. Keep your most prized possession in top form with this offer.